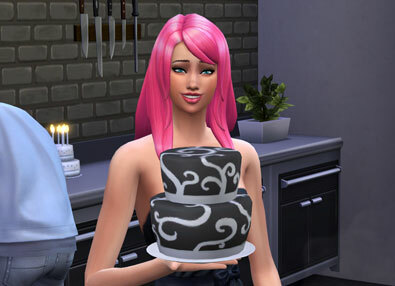 The Culinary Career in The Sims 4 is all about food and drinks! Train your Cooking Skill as well as your Mixology Skill in the beginning, you can drop one of these when you can choose your Branch. This career will give you some really useful cooking appliances in a modern professional design. The rewards of this career are my personal favorites. When you reach level 6 in the Culinary Career you will be able to choose the path of the food (Chef Branch) or the path of the drinks (Mixologist Branch). The Chef Branch will earn you more money but in the Mixology Branch you only have to work 3 days a week. You will have to prepare food to complete this daily task, it doesn’t matter what you cook. It usually takes 3 dishes to complete. Your second option of the daily task is to mix drinks, you will need to have a bar for this. You only have to create around 2 drinks. Take a thoughtful shower before going to your job. The Umber Kitchen Sink has an Inspired emotional aura when put on. This sink will unlock on level 4 of your Culinary Career. You will have to place two of these to benefit from it in the kitchen but it won’t have any effect when you leave for work but it will benefit to level your cooking a bit faster. It takes a special touch to craft exquisite food. 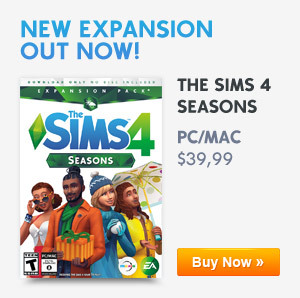 Begin your journey of making Sims weak in the knees with a dangerously delicious dish. Rewards include the ability to make higher quality cakes. This is the highest paying branch in the Culinary Career. You still need to be inspired for faster promotion and you can get a lot of new buy mode objects if you choose this path. Level up your Cooking Skill but also your Gourmet Cooking Skill to get promoted! You daily task for the Chef Branch is that you cook some food. It doesn’t matter if you cook normal dishes or the gourmet dishes. If you try to become inspired it will level up your cooking faster. Take a thoughtful shower before going to your job. If you have a high enough Cooking Skill level you will get inspired just by cooking. A master mixologist knows the ins and outs of various mixers and ingredients to create a drink that makes the shyest Sim sit up and notice. Rewards include the ability to make new, high quality drinks. For the Moxologist Branch you will need to train your Mixology Skill and Charisma Skill. When training you Mixology Skill try to become Inspired for faster results. Your Charisma skill will level up faster if you become Confident. Become Confident by clicking on the sink and ‘Brush Teeth’. You daily task is to mix drinks, you will need to have a bar for this. You only have to create around 2 drinks. Take a thoughtful shower before going to your job. If you have a high enough Mixology Skill level you will get inspired just by mixing drinks.